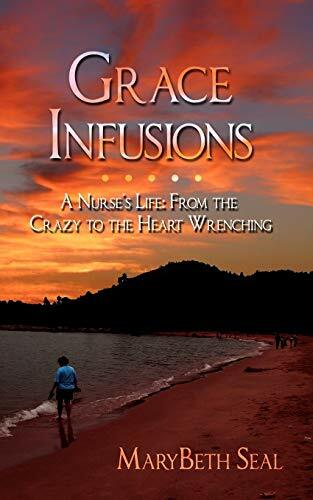 Grace Infusions is a collection of vignettes describing nurse/patient experiences from the crazy to the heart wrenching---and viewing these through the eyes of grace. My theology of love has been enlarged and I've been changed for the better as I meditate on God's goodness, patience, and grace displayed in ordinary relationships with patients which have, in turn, become extraordinary. A picture can paint a thousand words and words can paint wonderfully vivid pictures for us to imagine and ponder. Pictures captured in our hearts and minds can infuse our souls as we relate to one another here on earth. We can be grace givers in a world much in need of a touch from God. He uses our hands, feet and hearts to carry grace and share it. You can offer grace infusions wherever you are even if you're not a nurse.